They may sound funny, but groove tubes act as a catalyst for groups coming together and appreciating each other's functions in a greater soundscape. Four different coloured groups (each producing their own note) provide a hands on approach to understanding each other's function in building a stronger team. 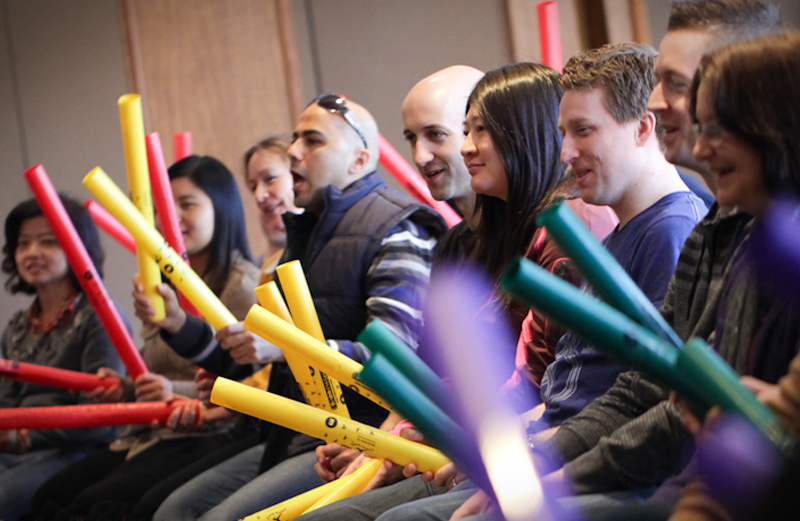 Groove tube sessions are not only a great interactive entertainment and team building activity but can also form an important leadership component through self directed group work. An excellent alternative to drumming.